The Montreal Canadiens lost their fifth game in a row last night, but captain Max Pacioretty came away from his team’s loss to the Vegas Golden Knights impressed with the new organization. The team’s T-Mobile Arena is slowly but surely becoming one of the league’s more electrifying facilities, thanks in part to the organization’s early success. As it currently stands, Vegas is first overall in the NHL with 82 points. Following the game, Pacioretty explained why the match in Vegas was the coolest road game he’s ever played in. 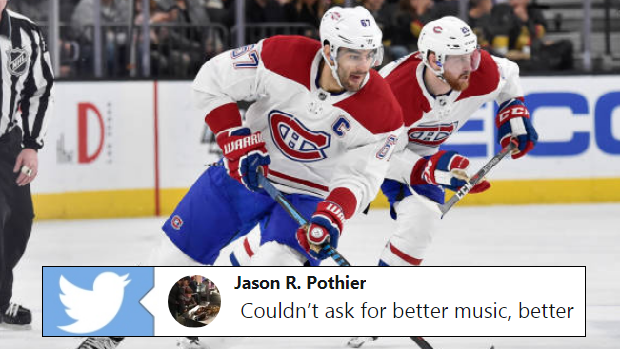 Pacioretty’s comments will be welcomed by Golden Knights fans and shouldn’t be taken lightly when you consider the franchise he’s played with throughout his career. Montreal’s Bell Centre is regarded as the NHL’s loudest, and Canadiens fans are as passionate as they come. So take this as you will, Vegas fans. Players have been enjoying their experiences in Vegas outside of T-Mobile Arena just as much as they have inside of it. Take the Edmonton Oilers for example, who celebrated Connor McDavid’s 21st birthday in the city following their 3-2 overtime win. What better way to celebrate than that? Most teams haven’t had the same fortune as the Oilers, as the Golden Knights currently hold the league’s best home record at 22-4-2. Coincidence? We think not. A veteran of 10 years, Pacioretty has visited every NHL barn in the book and knows at this stage in his career what makes a great NHL atmosphere. When you’ve got couples getting married and Cirque du Soleil performances happening at intermission, it’s no wonder why experiencing a Vegas Golden Knights game is so special.